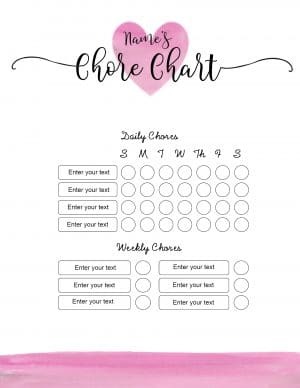 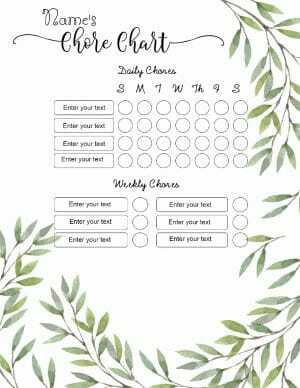 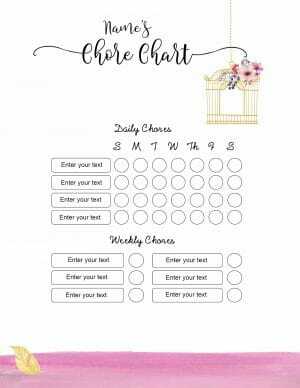 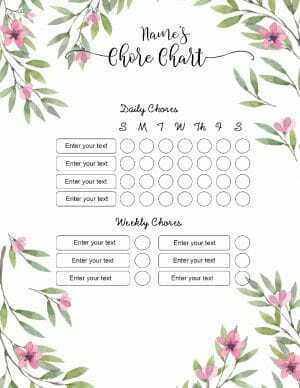 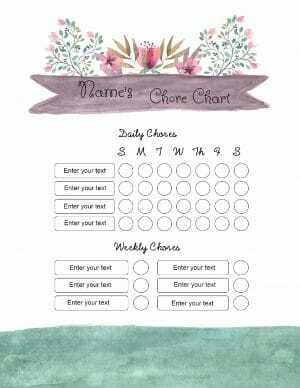 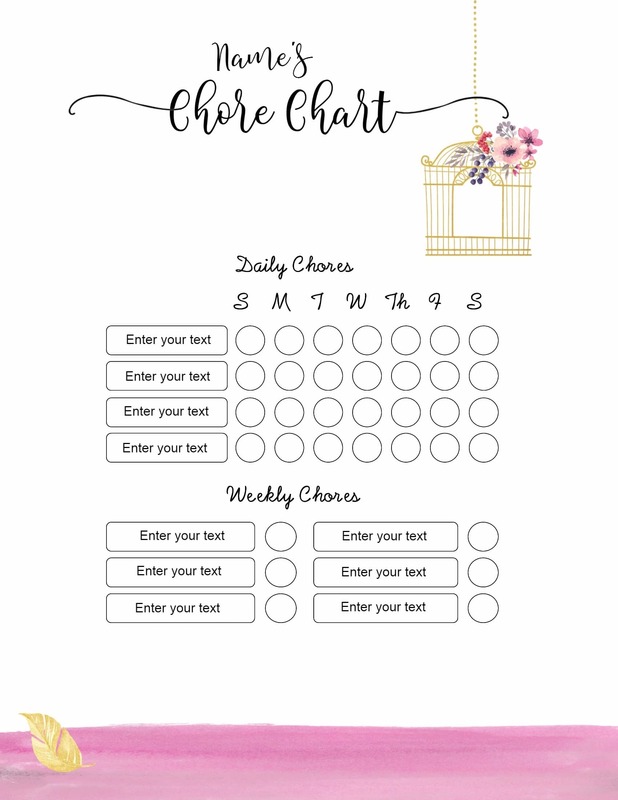 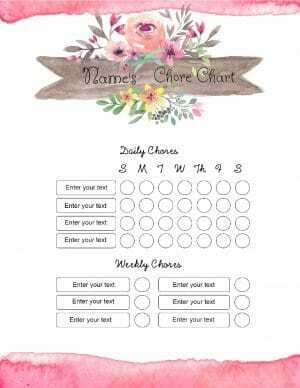 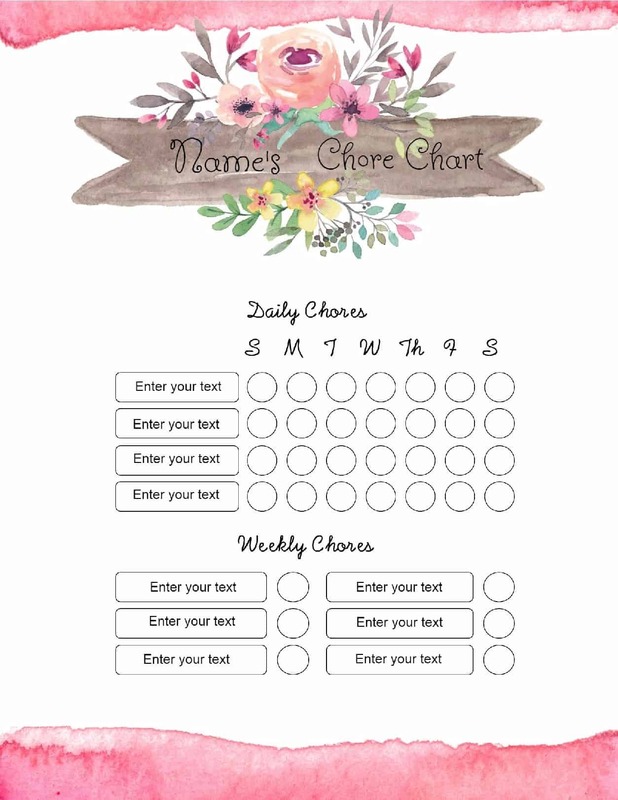 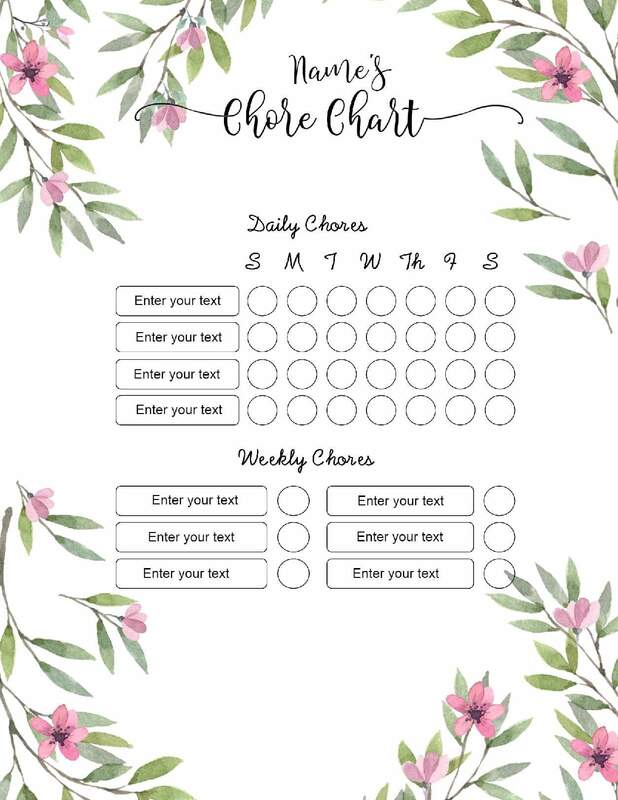 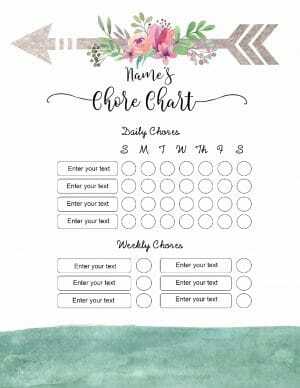 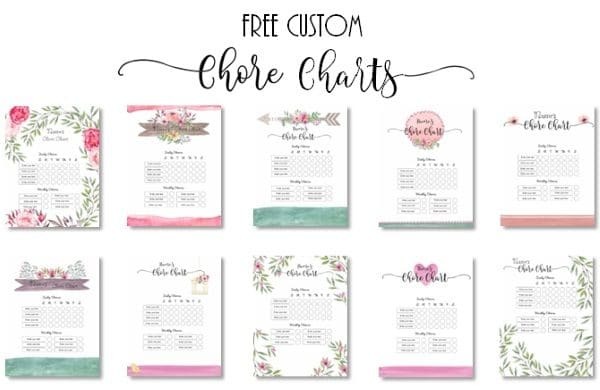 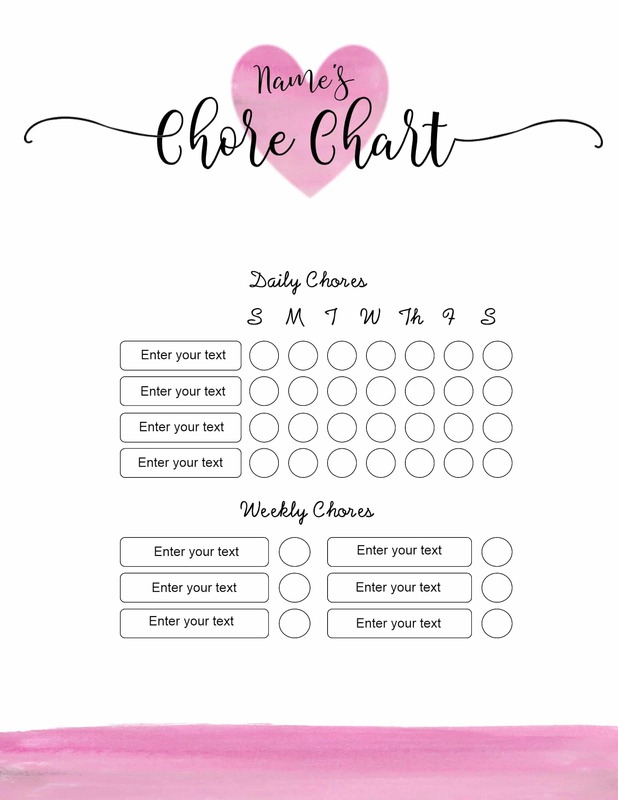 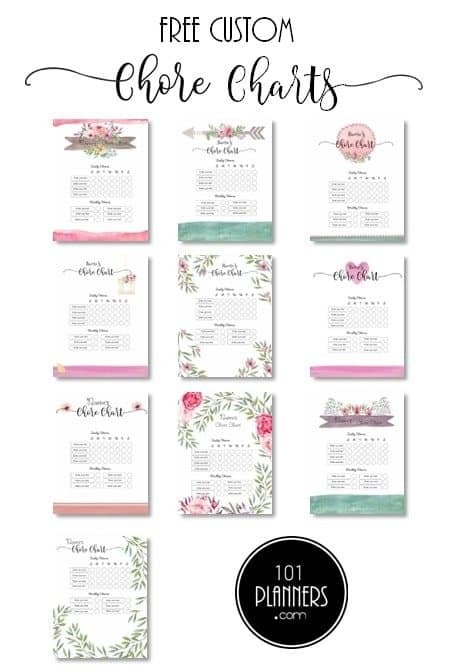 Free printable chore charts that can be customized with your name and chore list. 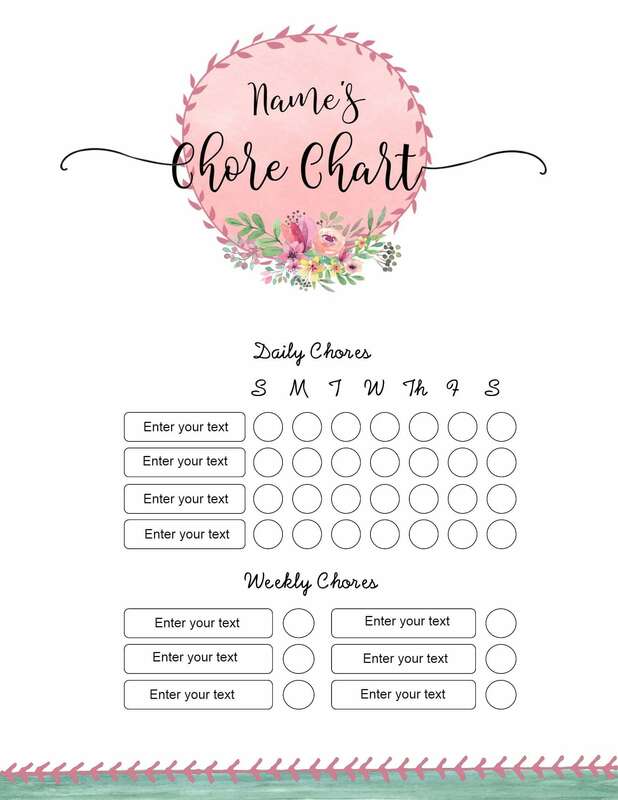 Select a chore chart template from the selection below and click on “customize” to open the chore chart maker. 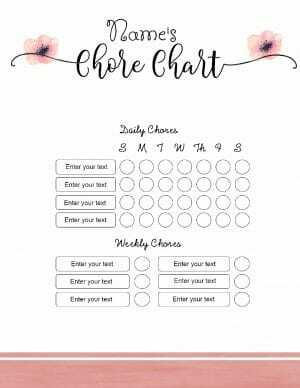 Replace the dummy text with your list of chores. 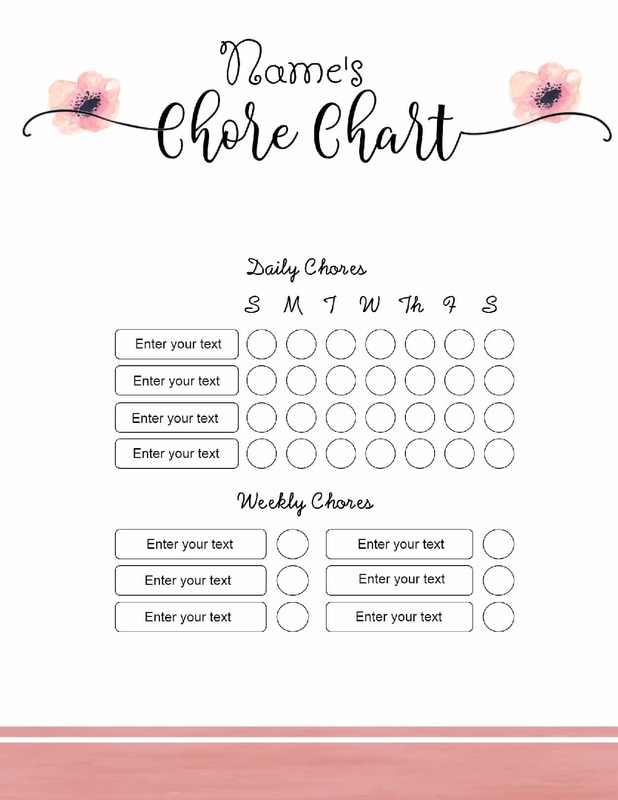 If you prefer to print a blank chore calendar and add the list after you print then don’t forget to erase the dummy text before you download and/or print. 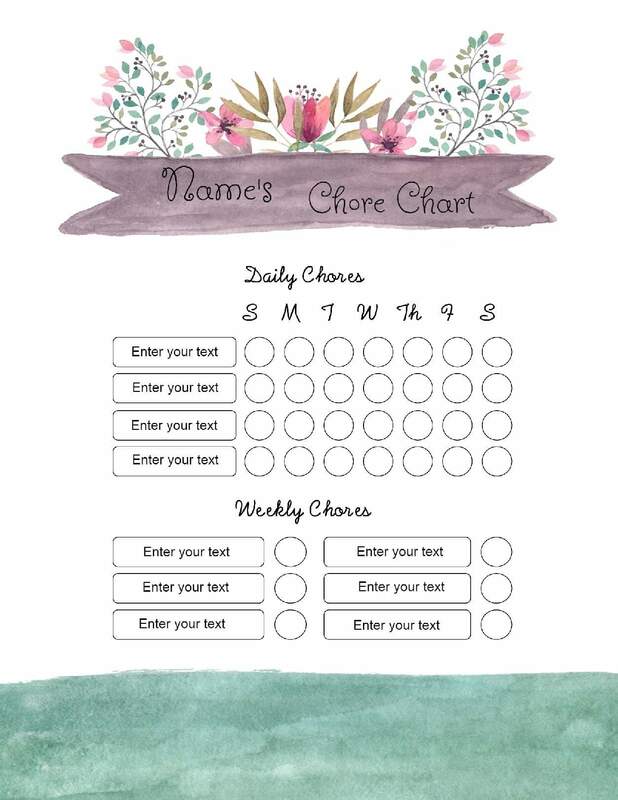 How to Create a Family Chore Chart? 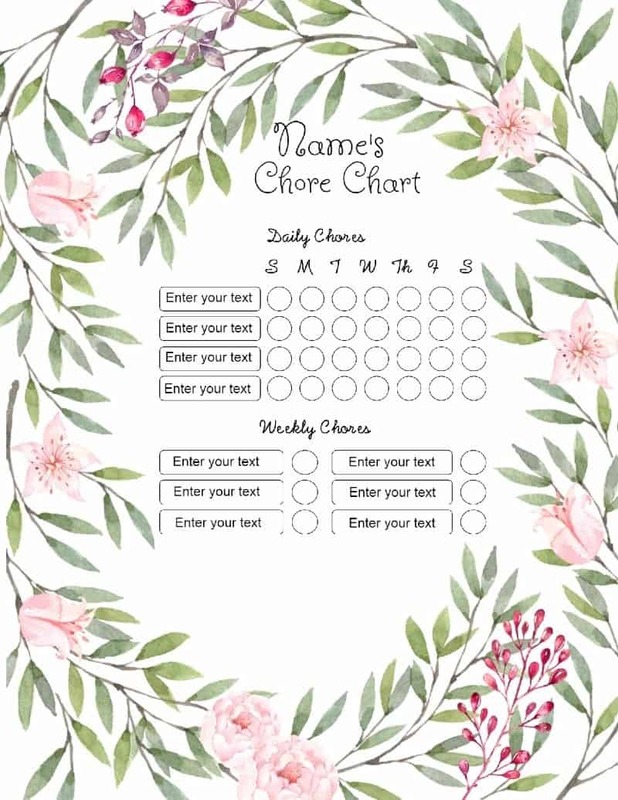 Once you open the chore chart maker you can customize all text on the chart. 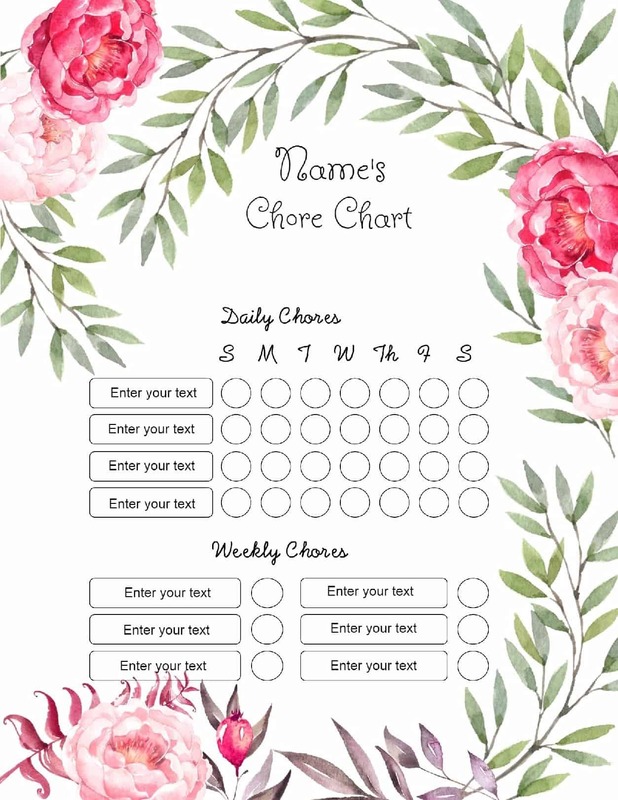 Instead of adding a chore list you can add each family member’s name. If you want to add their chores next to their name then just click on the A icon to add additional text.